Whether you've just moved to the state of Arizona or have recently become frustrated or concerned with the way the state's been represented in the Senate, one of the best features of our democracy is our right to contact our representatives about important issues facing the country. Contacting your federal, state, and local representatives is one of the best ways to let your voice be heard about an issue, and in order to do so, you can contact your District's Representative in Congress. If you aren't sure who your Representative is because you can't recall which District you live in, you can find it out with just ​your zip code and address. 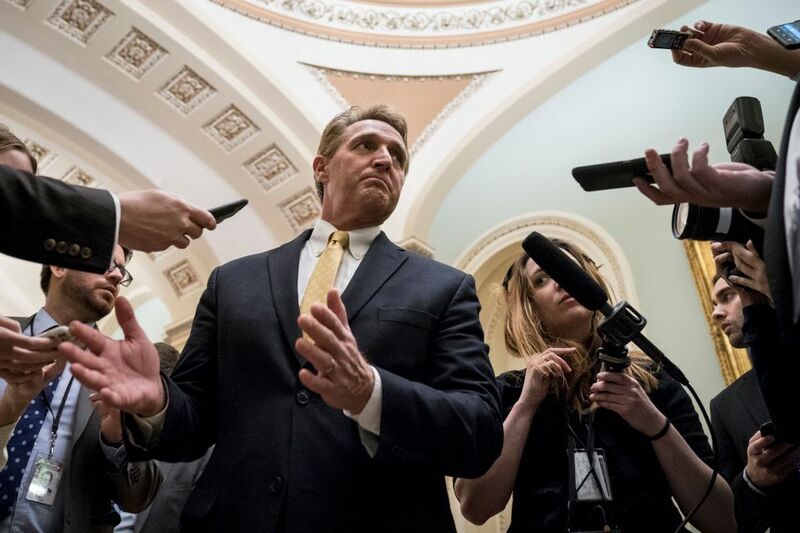 In 2018, the two senators representing the state of Arizona in the United States Senate are Jeff Flake and Jon Kyl, both of which are members of the Republican party. Our U.S. congressional representatives are never put into office by 100 percent of the electorate, but still, they represent all of us. Whether Democrat, Republican, Green, Libertarian or any other party or no party at all, it would not be possible for our Senators and District Representatives to make all of us happy all the time. One of the features of our form of government is that we have the right to tell our elected representatives how we feel they should vote on the issues of the day. We probably don't have all the information that they have, but even so, we may want to let our elected officials in Washington know when we support a particular position, or when we disagree with the way they have represented Arizona on an issue. Be willing to identify yourself, including name, mailing address, email address, and phone number. State your position clearly, citing examples or resources for your information. Avoid insults, profanity or other inappropriate commentaries. Keep in mind that when you contact either of the Senators mentioned below, you will probably be interfacing with a member of his or her staff. If they answered the phone or personally responded to all the letters and comments they receive, they'd never have time to do the work for which we elected them. Senator Jeff Flake has served the State of Arizona as a Senator since 2013 but announced his retirement in October 2017, meaning that he will no longer serve as Senator pending the November 2018 election. Still, for the remainder of the year, Senator Flake will continue to represent the people of Arizona and can be contacted through a variety of means. Senator Flake can be reached by phone in Phoenix at (602) 840-1891 or in Washington at (202) 224-4521, but keep in mind you will likely be speaking to one of his staffers instead of Senator Flake when using this method. For a more direct connection to Senator Flake, try commenting on his official Facebook or official Twitter page, which he's been known to personally respond to on occasion. For more information on Senator Flake's positions on the issues or how to contact Flake directly, visit Senator Flake's official government website. Senator Jon Kyl has served as a Senator since the death of late Senator John McCain in September, 2018.